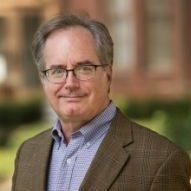 Jerry Power is the executive director of USC-Marshall’s Institute for Communication Technology Management, a think tank that is dedicated to understanding how technology will impact markets and business processes. The CTM community serves as a focus point for innovative thinking in support of business strategy. Jerry is also one of the founding members of the I3 Consortium which is applying innovative thinking in the IOT space to realize a democratized vision of IOT networks. Jerry is also authoring a new book entitled “The Real-Time Revolution”, is active with NISG, NGA, and WEF.